Feels like a slipper, protects like a shoe. 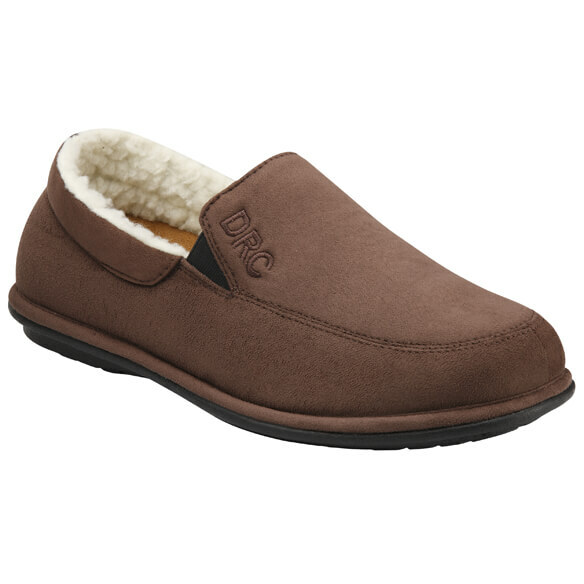 These plush, roomy Dr. Comfort® Relax men’s slippers comfort swollen or diabetic feet with warm fleece lining, a structured toe box and extra width and depth. The included removable, hand-washable gel inserts cushion every step, or there’s plenty of room to wear your own inserts. 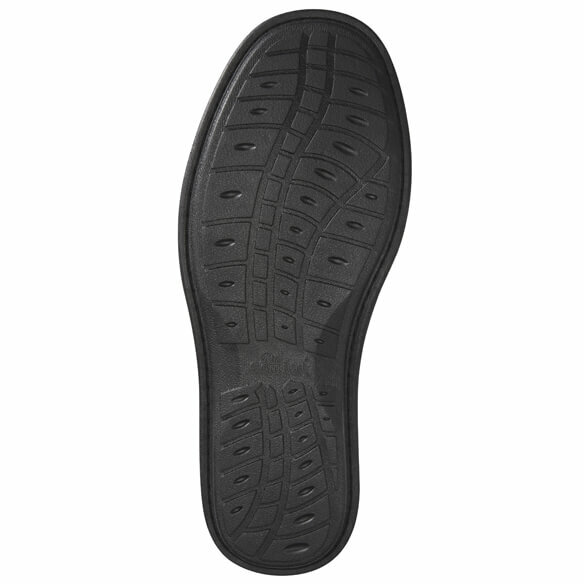 With a closed heel, supportive midsole and hard, non-skid outsole, these Dr. 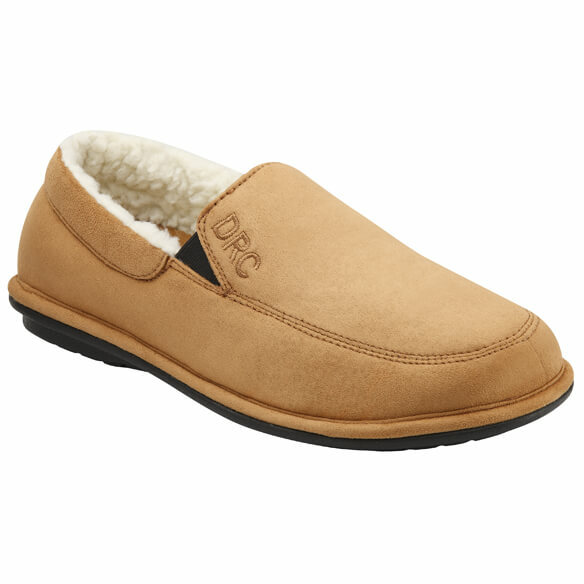 Comfort shoes provide full protection perfect for wearing around the house. Choose from camel or chocolate. 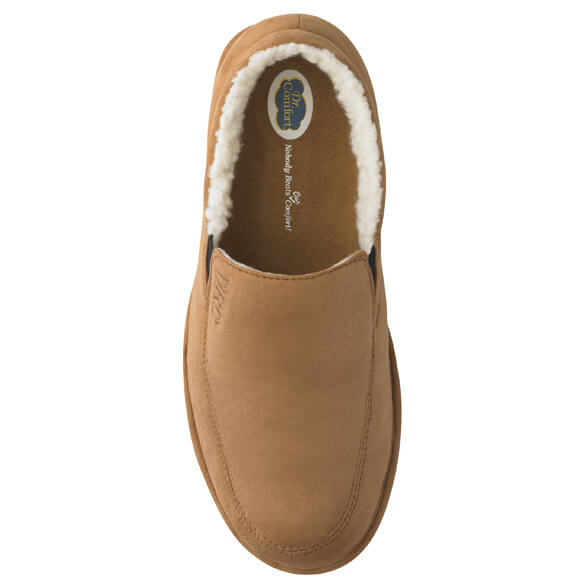 Fleece slippers available in whole sizes 7W–13W.